Newcastle midfielder Siem de Jong has disclosed he will be sidelined for another “couple of months” through injury. The 25-year-old has played only three times for the club since joining from Ajax for £6m in July. He injured his knee during training last month. “Just saw the surgeon in London and all looks good. Still a couple of months to go but I’m sure I will get back stronger,” the Netherlands international wrote on Facebook. 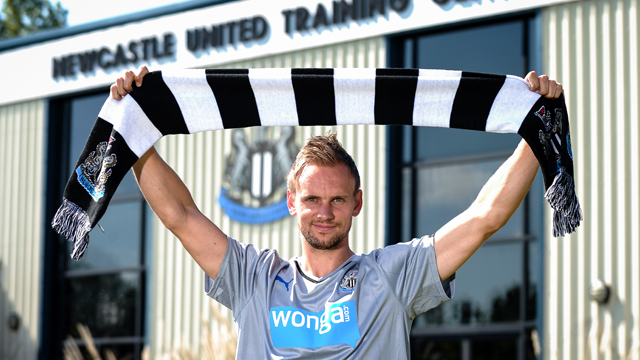 Siem de Jong Set for Further Two Months on the Sidelines. De Jong missed much of last season through injury and sat out a significant proportion of the ‘Magpies’s’ pre-season tour with a foot problem. Newcastle are 18th in the Premier League table with seven points from eight matches after securing their first league win of the season against Leicester on Saturday. They face Tottenham Hotspur next. Rafael Benitez, Wins Manager of the Month for April after Four Years. Spanish Press Prejudice Mourinho after Madrid’s Semi- Final Exit for the Third Time in a Row. Aluko Keeps World Cup Hopes Alive.